Okay, so we've had a lot of posts lately that have been on the serious side (fire, plague, syphilis, under-paying jobs), so for a change of pace, I thought I'd write about something a little more fun. What's not to like? Everyone knows that the best part of costume dramas in the historically accurate underwear (that can't just be me). Fans of historical anything will already be so familiar with corsets that you might feel like you know your way in and out of one, but what about the rest? Underwear is a surprisingly tricky subject. You'll often hear that people just didn't wear any, but that wasn't the case. Charles II wore one of the world's first versions of silk boxer shorts to bed--would you expect anything less?--and Pepys' wife, Elizabeth, is noted to have worn "drawers." 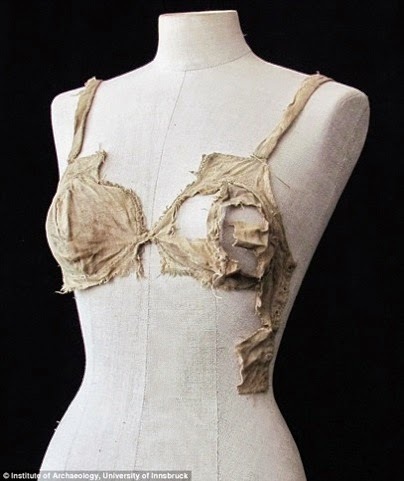 While it's true that seventeenth century undergarments were a long way off from Victoria's Secret, they were very common and almost always the cleanest thing a person wore. It was extremely difficult to clean many finer items of clothing, and people depended in part on frequent changes of undergarments such as shifts to preserve the more expensive outer layers. something you might find at Ann Summers. "In the Tudor or Stuart concept of hygiene, clean underwear played an important part. The wearing of clean linen next to the skin was considered essential in the 'dirty' centuries. People thought it was dangerous to immerse their bodies in water but perfectly safe to use linen to absorb the body's juices, and then to wash the linen regularly. In fact, a show of brilliant white linen at the collar and cuffs was important to publicise the cleanliness of your body--and. by implication, the purity of your mind." That's right, the second U of the day was used a stain remover right up until the twentieth century. Garments were scrubbed with a soap made of lye before the dirt was beaten out of them and they were hung in the sun to dry, ideally over sweet-smelling rosemary or hawthorn bushes. But for tough stains, you couldn't beat urine. Satisfying as it might be, surely just peeing on one's employer's clothes would be too easy. So how was it done? Lay it all night in urine, the next day rub all the spots in the urine as if you were washing in water; then lay it in more urine another night and then rub it again, and so do till you find they be quite out. As you can see, sometimes it took quite a lot to do the job. Housemaids would even reserve urine from the house's chamber pots for this specific purpose. Effective as it must have been, I can't help but wonder how much lye and rosemary it took to neutralize the smell. If that didn't work, there was always perfume. 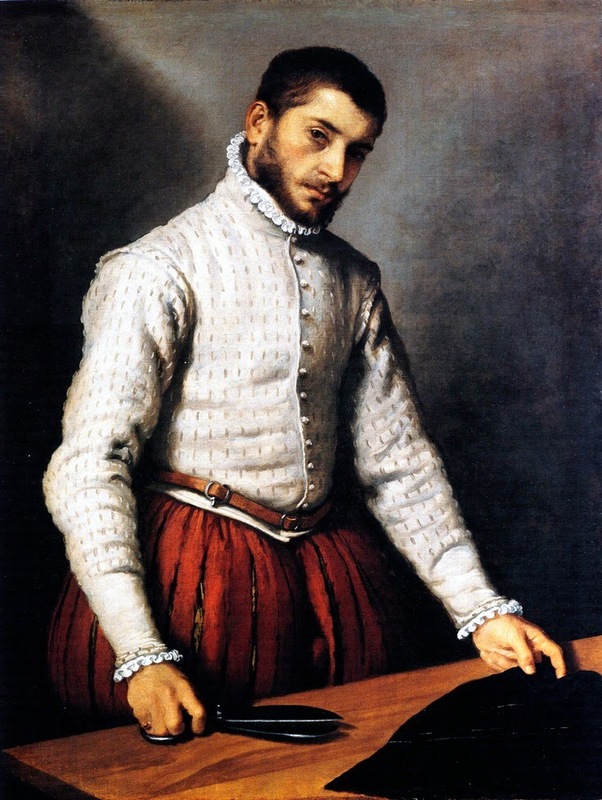 For a bonus U: Giovanni Battista Moroni's unidentified tailor (1570). This has very little to do with underwear (see caption), but I found him when looking for photos for you and thought you'd earned something pretty to look at after that syphilis post. Is this guy gorgeous or what? Notice the pristine white ruffles under his doublet. Someone knows the secret to keeping their whites whiter. Lucy Worsley, If Walls Could Talk: I just got a copy of this and it is an entertaining and thorough history of the details of everyday life in Britain throughout the ages. It's a fascinating read for anyone, and invaluable to writers of historical fiction. Be sure to check it out! Sally Pointer, The Artifice of Beauty: For a complete history of beauty and cosmetics from Egypt onward (including recipes! ), you cannot beat this book. I was fortunate enough to get my copy at a museum book store a few years ago when it came out, but now the price has gone way up on Amazon. If you ever happen to stumble across this book in a used bookstore, grab it! You won't regret it! Visiting from Lisa's Live Wires for the A to Z Challenge...this is so interesting! I never really gave underwear a thought in this time period (though have wondered how a woman handled her period) and had NO idea they used urine to clean it. Ew? And, you score bonus for two U "posts" in one!